A truly busy day today at SoAGC! With Andy B running the show, we had every club aircraft including G-CHXK plus a T21 in the air at the same time! Many new visitors to Stratford were flown while some significant pilot development and goals were achieved. 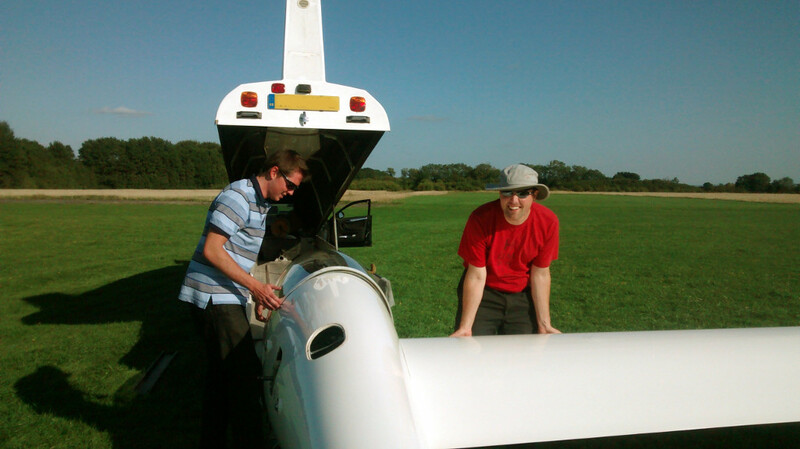 Peter C and Kit B achieved their 2hr duration flights which are required for their Bronze cross-country endorsements. 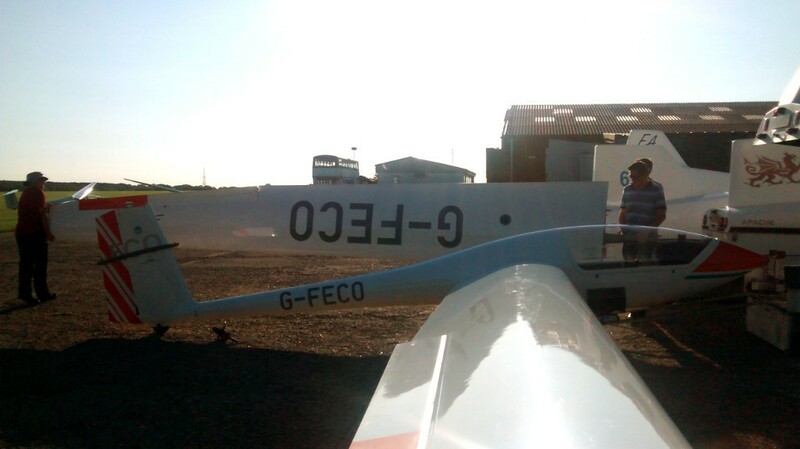 Peter’s endorsement is now complete and we are hoping there will be a suitable day in the remaining soaring conditions for him to complete his silver distance flight this year. 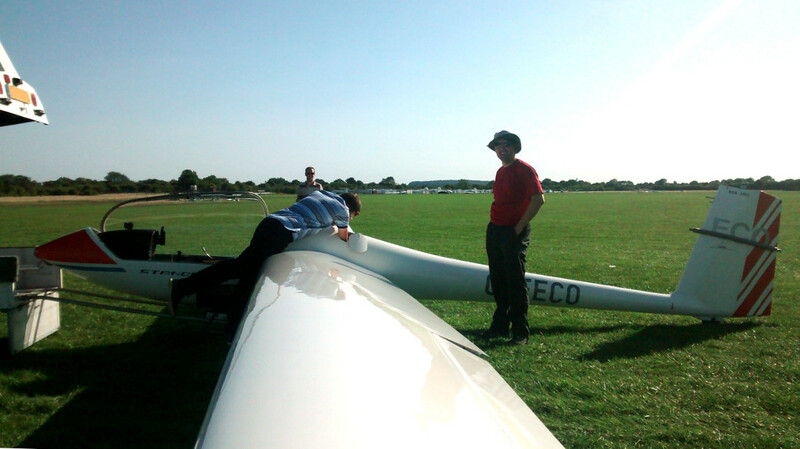 Phil C set off in Stratford’s new Astir CS77 G-FECO and made it down to Bicester for his Silver (50km) distance leg. Many thanks to the friendly folks at Windrushers GC and duty instructor AJ who let us derig ECO at the back of the their launchpoint. This entry was posted in Flying reports and tagged bronze, flying, soaring by admin. Bookmark the permalink.